A Christmas themed best seller about Lily and her beloved Blue Kangaroo! It's Christmas Eve, and Lily is excitedly wondering if Father Christmas will come. She has made cards for everyone, helped to decorate the house and put presents under the tree. "This one is just for you, Blue Kangaroo!" she says. "Just for me!" thinks Blue Kangaroo. 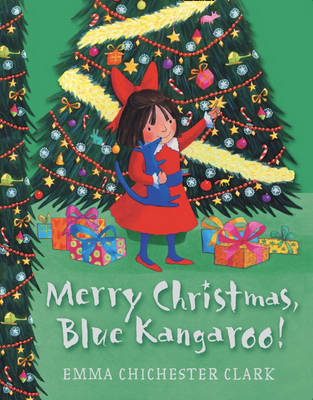 But Blue Kangaroo doesn't have a present for Lily, and he lies awake worrying. Is there anyone who might be able to help? Emma studied art at the Royal College of Art. She has worked as a freelancer for magazines, publishers and advertising agencies as well as teaching art for several years, but now dedicates most of her time to children's books.